The 2016 Nissan Maxima is one of the most affordable and safe large family cars on the market today. The auto has an extremely comfortable cabin, dramatic styling, and the latest in safety initiatives incorporated into its design. There are also two touch screens and dual-zone automatic climate control included with the car with the navigation system included as standard equipment. 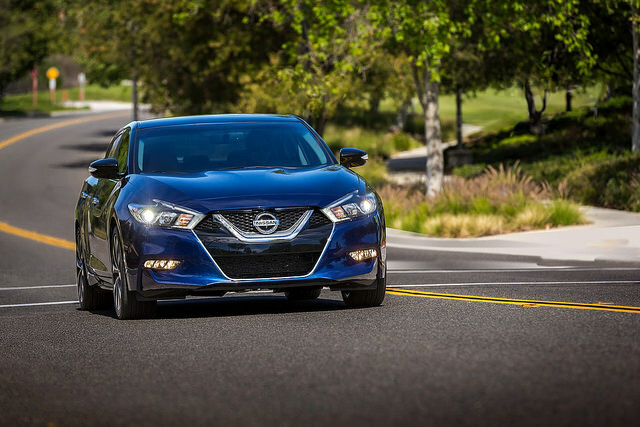 The stock engine for the Maxima is a 3.5 liter six-cylinder engine rated at 300 horsepower coupled with a CVT transmission and front-wheel drive. The car can go from zero to 60 MPH in just 5.9 seconds, and its overall gas mileage is rated at 22 MPG (city) and 30 MPG (highway). 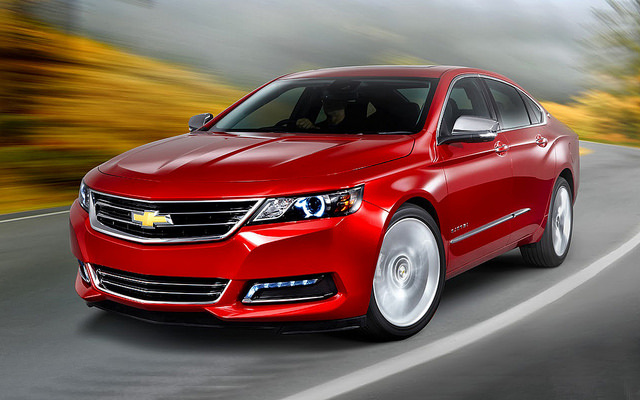 The 2016 Chevrolet Impala is an extremely safe and affordable large family car. The car has gone through several generations of design, and the current model includes a spacious interior that is well-trimmed. Consumers can choose to add an optional WiFi hotspot with the auto when buying new, and the handling of the model is much improved over past model years of the Impala. The stock engine in the car is a 2.5 liter four cylinder that is rated at 196 horsepower and includes stop-start technology. The company also plans to include CNG/bi-fuel technology in the 3.6 liter V-6 later in 2016. The car can go from zero to 60 MPH in 8.7 seconds, and its top overall speed is 132 MPH. The overall fuel economy of the base engine is rated at 21 MPG (city) and 31 MPG (highway). 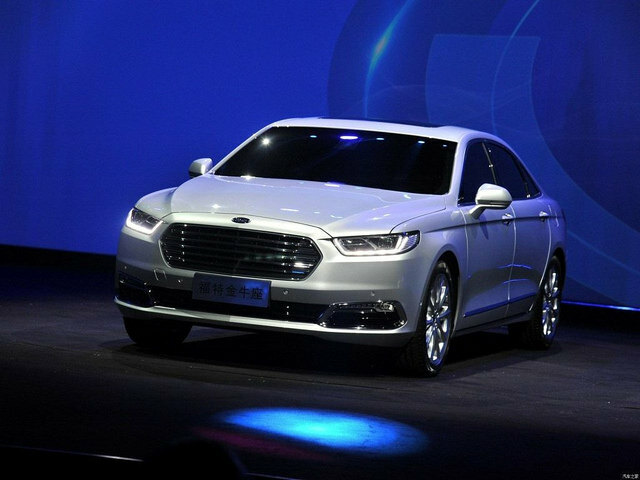 The 2015 Ford Taurus is an extremely affordable and safe large family car. The Taurus has one of the largest trunks available for families to use when taking trips; however, the interior space suffers a bit as a result. The overall styling of the car is rated as below average, and the base engine of the car is a V-6 rated at 288 horsepower. Consumers can also choose to upgrade to a turbo-four rated at 240 horsepower or a turbo six rated at 365 horsepower. The car can go from zero to 60 MPH in 7.4 seconds, and it has a top overall speed of 110 MPH. The fuel economy of the Taurus comes in slightly above average at 22 MPG (city) and 30 MPG (highway). 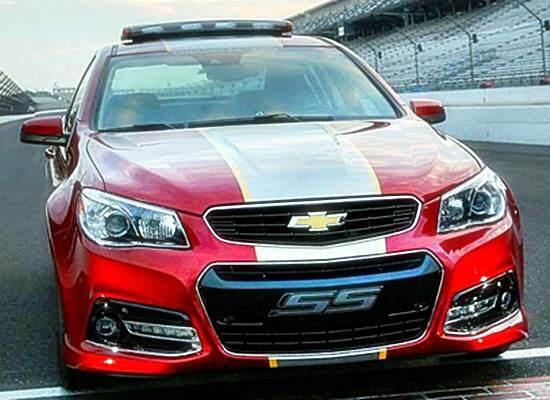 The 2015 Chevrolet SS is one of the most affordable and safe large cars suitable for families on the market today. The SS is the flagship sedan for the company, and it is one of the most loaded sedans sold in the United States. 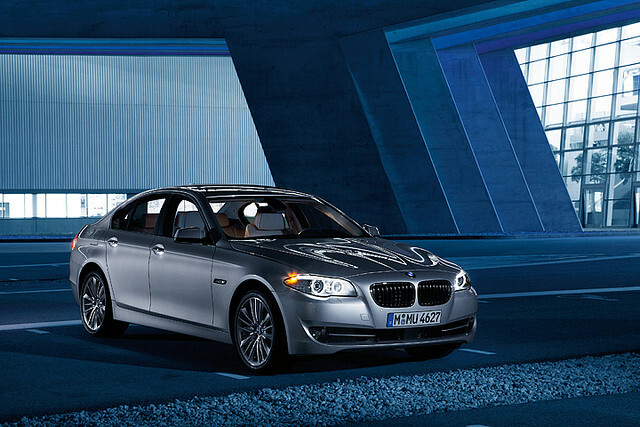 The car comes with a 6.2 liter V-8 engine rated at 415 horsepower with rear-wheel drive. The SS has a six-speed manual transmission and consumers can also choose to get the six-speed automatic when buying the car new with both options coming with magnetic ride control and Brembo brakes. The SS can go from zero to 60 MPH in just 4.6 seconds, and its fuel economy is below average with a 15 MPG (city) and 21 MPG (highway) overall rating. The 2015 Toyota Avalon is one of the top large family cars on the market today with a proven track record for safety established over the past several decades. The newest version of the highly popular auto has a very luxurious cabin, a powerful engine, and is extremely comfortable to both drive and ride in on the road. The car is powered by a 3.5 liter V-6 engine rated at 268 horsepower, and it comes with a six-speed automatic transmission. The Avalon can go from zero to 60 MPH in 6.1 seconds, and it has a top overall speed of 127 MPH. The fuel efficiency of the car is slightly above average with a 21 MPG (city) and 31 MPG (highway) overall rating. 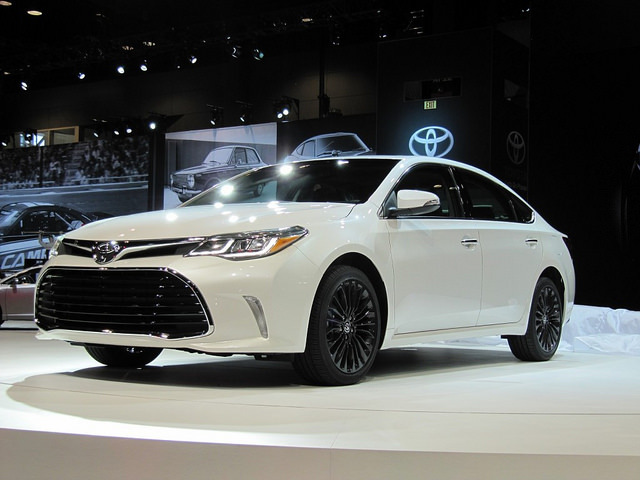 The 2015 Toyota Avalon Hybrid is one of the most affordable and safe large family cars on the market today. The car is rated as having an above average interior and has an extremely smooth drive. The car sees a 40 MPG equivalent for gas mileage out of a 2.5 liter four-cylinder engine that is mated with an electric motor and is rated at 200 horsepower. The Avalon Hybrid has a CVT transmission, and the car merges the best elements from the Camry Hybrid and the Lexus ES 300h. Those looking to save costs find the hybrid version of the Avalon more attractive than the gasoline powered version since it sees more than 16 MPG a gallon better gas mileage, and the company is planning to upgrade the overall design of the vehicle in future model versions. 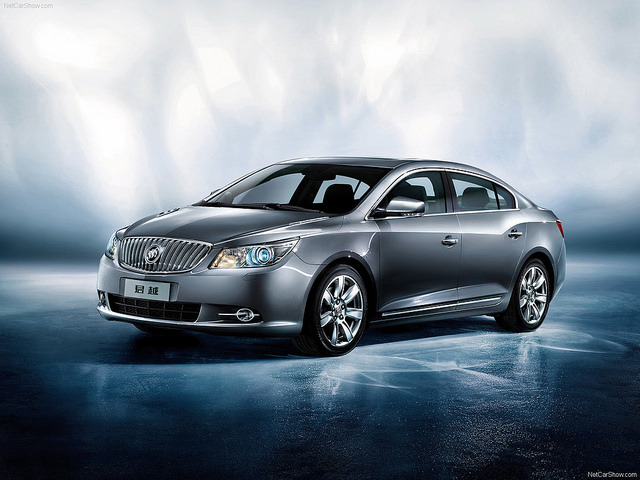 The 2015 Buick LaCrosse is an extremely affordable and safe large family car. The interior cabin of the vehicle is extremely roomy, and the company uses high-end materials for the design of the vehicle which delivers an extremely comfortable ride. The car is extremely quiet, and Buick includes an eAssist powertrain that is powered by a 2.4 liter four-cylinder engine combined with an electric motor that is rated at 182 horsepower coupled with a CVT transmission. Consumers can also choose to upgrade to a 3.6 liter V-6 engine rated at 304 horsepower with either front or all-wheel drive combined with a six-speed automatic transmission. The overall fuel economy of the vehicle is rated at 18 MPG (city) and 28 MPG (highway). The 2015 Hyundai Azera is an extremely affordable family car that is both safe and comfortable for families who choose to purchase the auto. The interior cabin is extremely roomy, and it includes a large number of standard features to include blind-spot detection, rear cross-traffic alert, and a hands-free smart trunk that opens automatically. The Azera comes stock with a V-6 engine rated at 293 horsepower with a six-speed automatic transmission. The steering of the auto is rated below average, but the vehicle does go from zero to 60 MPH in 6.2 seconds with a top overall speed of 155 MPH. 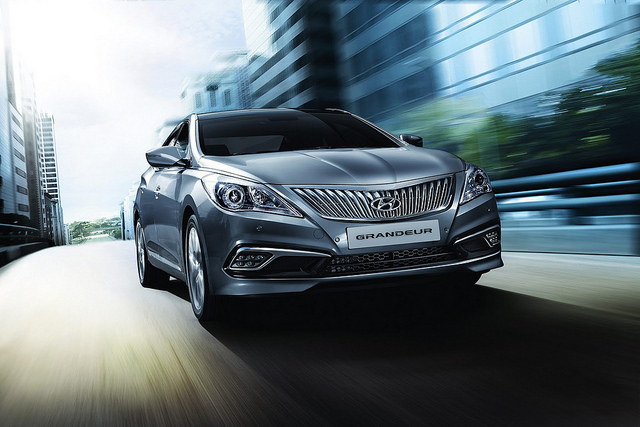 The fuel efficiency rating of the Azera is 20 MPG (city) and 29 MPG (highway). The Dodge Charger is one of the most affordable and safe large family cars on the market today. Dodge offers a range of engines with the vehicle, and has made the styling extremely “muscular” in nature for the current model year. The stock engine in the car is a 3.6 liter V-6 that is rated at 292 horsepower, and consumers can choose to upgrade to a 5.7 liter Hemi V-8 rated at 370 horsepower, or to a 6.4 liter Hemi V-8 rated at 485 horsepower. All of the engines for the Charger include an eight-speed automatic transmission with rear-wheel drive coming standard with the vehicle. For those who purchase the version of the Charger with the V-6, all-wheel drive is an available option to upgrade to. The car can go from zero to 60 MPH in just 4.1 seconds, and its overall fuel economy is below average with a 15 MPG (city) and 25 MPG (highway) overall rating. 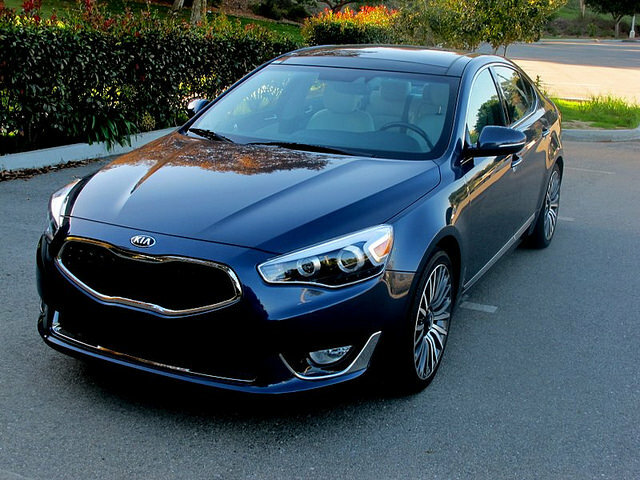 The 2015 Kia Cadenza is one of the safest and most affordable large family cars available today. The car features a high-quality interior, and it is rated as being an extremely comfortable ride. The stock engine for the vehicle is a 3.3 liter V-6 rated at 293 horsepower, and it comes with a six-speed automatic transmission and front-wheel drive. The interior has been significantly improved over the past model years, and the auto can go from zero to 60 MPH in 6.2 seconds. The overall fuel economy of the car is rated at 19 MPG (city) and 28 MPG (highway), and the car’s top speed is 154 MPH. 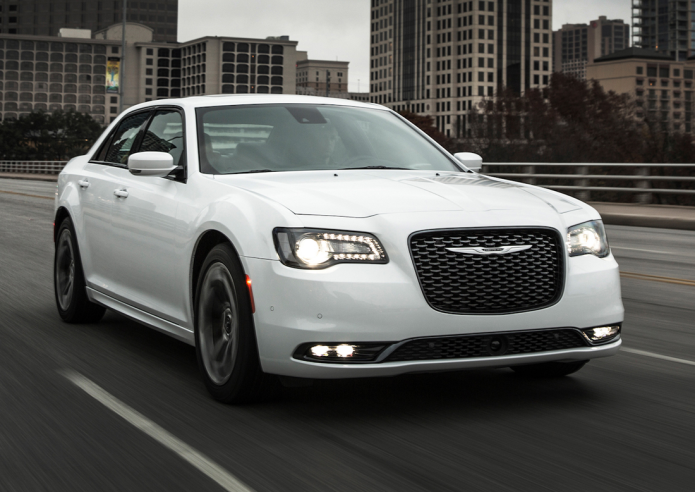 The 2015 Chrysler 300 is one of the safest and most affordable large family cars sold today. 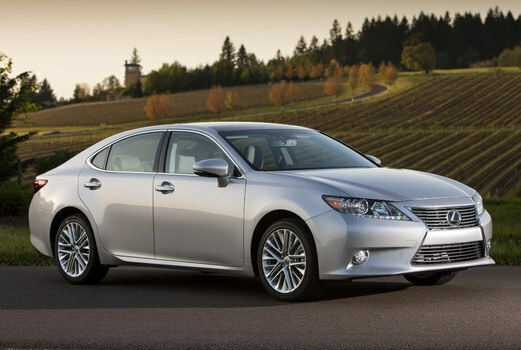 The car offers an extremely quiet and smooth ride while offering one of the quietest interior cabins of all sedans sold. The stock engine in the 300 is a 3.6 liter V-6 that is rated at 292 horsepower. 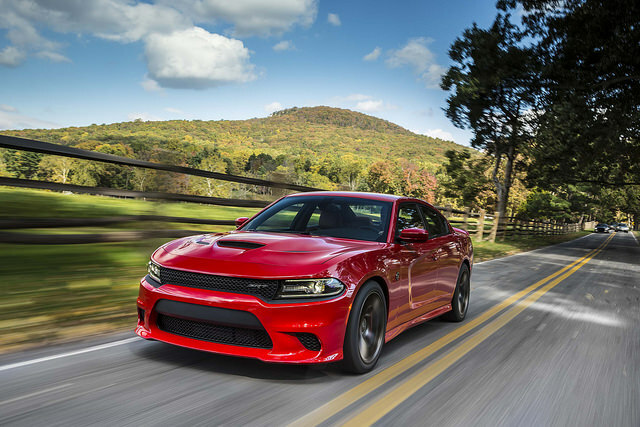 Consumers have the choice between either rear or all-wheel drive when buying the car new, and can also choose to upgrade to a 5.7 liter Hemi V-8 rated at 363 horsepower. All of the 300s come stock with an eight-speed automatic transmission, and they can go from zero to 60 MPH in just 5.3 seconds with a top overall speed of 131 MPH. The fuel efficiency of the car is rated at 16 MPG (city) and 35 MPG (highway). 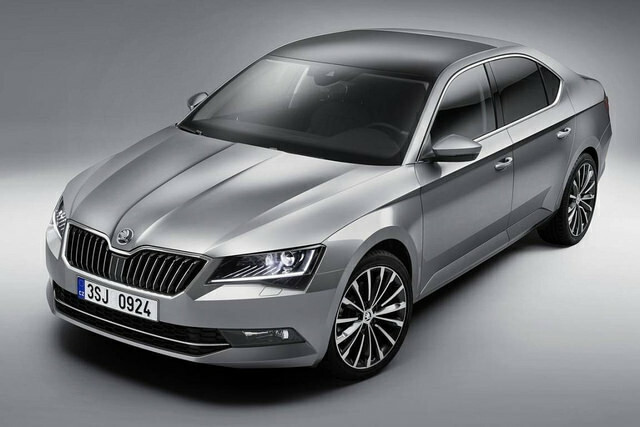 The Skoda Superb is a fairly affordable and safe large family car that will be available for purchase later in the 2016 model year. The Czech auto manufacturer has redesigned the popular automobile and used the Prague locale to base the design upon. Skoda builds on the company’s reputation for delivering an extremely practical car with the current year Superb, and the auto includes a number of unique features to include a trunk light that is also a removable flash light, Velcro-tabbed foldable plastic barriers to hold luggage in place, and folding umbrellas that are stored in tubes behind the trims of both front doors. Since Skoda is owned by the VW Group, the car design benefits from the safety research of the parent company. The stock engine in the vehicle is a 2.0 liter turbo-four with both diesel and gasoline options available for consumers to choose from. The car can go from zero to 60 MPH in just 7.0 seconds, and it gets above average fuel economy. The BMW 5 Series has undergone a transformation over the past several model years, and today it is one of the safest large family cars on the market. When compared to other luxury sedans, the 5 Series is very affordably priced, and all of the engines sold with the car are turbocharged. The car is sold with a diesel inline six cylinder, a four-cylinder gasoline engine, an inline-six, an eight-cylinder, and a gas-electric hybrid. All of the engine choices are sold with an eight-speed automatic transmission, and all but the hybrid give the consumer a chance to upgrade to all-wheel drive if desired. The car can go from zero to 60 MPH in just 5.3 seconds, and its top overall speed is 127 MPH. The overall fuel economy of the car is rated at 20 MPG (city) and 29 MPG (highway) putting it average when compared to cars of the same class on the market today. 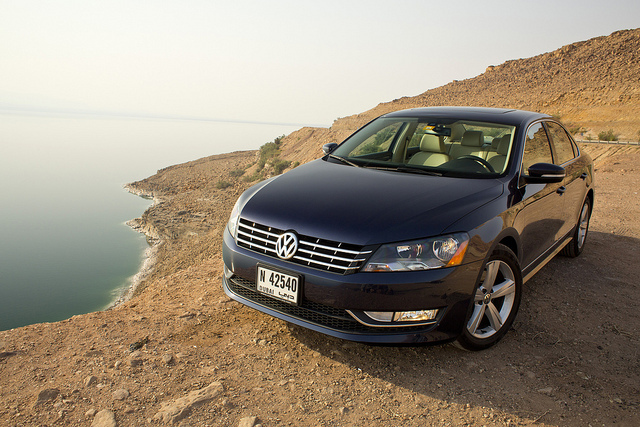 The 2016 Volkswagen Passat is one of the more affordable and safe large family cars on the market today. The model has been sold for a number of years, and VW has gone to great efforts to improve both the driver and passenger experience in the automobile. The stock engine in the vehicle is a 1.8 liter turbo four cylinder rated at 170 horsepower coupled to a five-speed manual transmission. Consumers can upgrade to a six-speed automatic transmission when buying the car new, and they can also choose to upgrade the engine to a 3.6 liter VR6 that is rated at 280 horsepower with either the six-speed manual or automatic transmission. The car can go from zero to 60 MPH in 7.5 seconds, and its top overall speed is rated at 115 MPH. The overall fuel economy of the Passat is slightly above industry average with a 24 MPG (city) and 34 MPG (highway) overall rating.